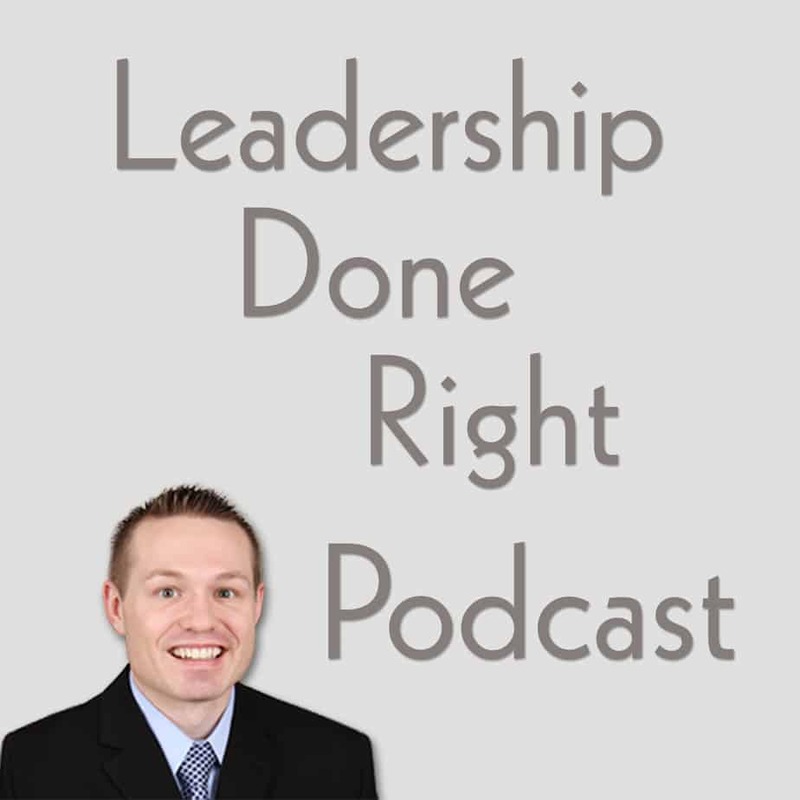 Hello, and welcome to the Leadership Done Right Podcast, Episode 57: Finding Peace Through Meditation. Hi friends! I am back home from Washington D.C. and am getting back into the normal grind of life. The conference I went to was an exceptional conference with wonderful speakers and a fantastic exhibition hall. What was even better than all that was the chance that I had to network and connect with great people. That brings me to the tip of the week. Always be prepared to get to know new people and network with them. When I talk about networking, I am referring to just getting to know people. Don’t be fake, put up a front, or try to be someone you are not. Instead, be your honest and true self. Also, be a good conversationalist by asking focusing your attention on the other person. Ask them about their life. What are they excited about? What drives them to be their best self? What are their dreams and passions? As you are sincere with people and truly work to get to know them, they will gain your trust and confidence. That’s where the saying comes in that people do business with those that they know and trust. They will also follow the leader they know and trust. So when you network, be your true self, learn about the other person, and don’t just push your agenda. Alright, in today’s episode, we’ll discuss how to meditate and the benefits of regular meditation. Hello, and welcome to the Leadership Done Right Podcast, Episode 44: Why You Need To Be a Curious Leader with Kingsley Grant. 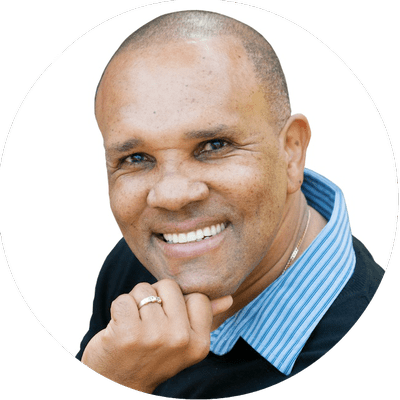 Our guest today is a National and International Motivational Speaker, Consultant, Licensed Psychotherapist, Clarity Coach, Online Radio Podcaster, and published Author. He focuses on helping middle income professionals cut through the confusion, gain clarity, and confidently take the next low-risk step towards their desired goal. Our guest is a contributing writer for the Huffington Post, Addicted 2 Success, Thrive Global and The Goodmen Project. He is a proud dad, husband, a man of faith and an entrepreneur at heart. He is the President of Helping Families Improve Inc., a company that focuses on improving communication within relationships. Have you experienced the benefits of daily meditation? With all the stresses of leadership, daily meditation is very helpful! In leadership, there are many things that can stress you on a daily basis. The following questions can cause a lot of stress. “What are you doing to improve the bottom line? What are you going to do to change the culture of your organization? What are you doing to help improve your organization? What are you doing to improve yourself? Are you doing enough to change the existing systems to make them run more smoothly?” As a leader, you are probably confronted with each of these questions regularly, as well as many more. Leadership Done Right Is Back On Track! Over the past four weeks, I took a little break from blogging on Leadership Done Right so I could catch up on some projects and review the direction of my life. I focused on some of my families needs with the holidays. I also got caught up on some things I was previously too busy to do. Overall, the last quarter of the year was very busy because of the rigorous pace of life at work. There wasn’t any earth shattering thing that happened and no major problems or life changes occurred, I just had to get caught up on some things that required that I take a small break. That being said, I’M BACK!! For 2013, I plan to blog regularly just as I did in the past. My goal is to write new fresh posts that cause you to change your way of thinking. As in the past, I intend to identify leadership lessons that can be learned from the current news events, discuss the pros and cons of popular leadership trends in the blogosphere, and explain leadership techniques and qualities that will improve your leadership ability. As you read each blog post, please share your thoughts. Also, please let me know if you have suggestions on topics that I should discuss. Thank you very much for your support and input as you read the posts!